If you have excess fat that won't go away, there's a new FDA-approved solution to make it disappear for good. It's called UltraShape and while it doesn't work for everyone, it may help you manage trouble spots like belly fat, love handles, back fat, or even wobbly arms. Ultrashape is a medically-approved therapy to permanently reduce fat in specific areas of your body using a painless form of ultrasound technology. During each procedure, a certified technologist uses a smooth, comfortable ultrasound device to selectively destroy fat cells at a designated point on the body. Ultrashape eliminates fat without harming the skin, blood vessels, nerves or connective tissues that are nearby. The device is FDA approved to reduce belly fat, but the device can also be used to target fat on your hips, outer thighs, or upper arms. The people who are likely to see the greatest benefit from UltraShape are patients with a BMI of less than 30 and who participate in a healthy lifestyle. Dr. Bruce Katz, Director of Juva Skin and Laser Center in Manhattan adds that good candidates should be able to pinch an inch of fat in their trouble spot. "People who have 2-4 inches of fat — maybe even 5 inches — in the area to be treated are good candidates for UltraShape." Dr. Katz adds, however, that UltraShape is not a treatment for obesity or weight loss. The procedure is not a replacement for liposuction, cellulite, or loose skin. And he says that UltraShape patients should have realistic expectations about what the procedure can and cannot do. Several clinical studies have demonstrated that people who use UltraShape lose excess fat in specific targeted areas. But the amount of fat lost isn't huge — so it's important to keep your expectations in check when considering the procedure. Most studies demonstrate a fat loss in centimeters — not inches or pounds. One recent study demonstrated that UltraShape users lost an average of 2.5 centimeters after the first treatment and averaged a total loss of approximately 3.5 centimeters after the third. Other studies have demonstrated slightly higher fat loss, but many clinical trials demonstrated a belly fat reduction of approximately 3-5 centimeters. While the fat loss in centimeters may not seem significant, it may be what you need to boost your confidence or feel better about your body. A 3-centimeter loss can mean the difference between dress sizes and it may help you to feel more comfortable in your favorite pair of jeans. And it might be the body confidence boost you need to make healthy changes in your life. For some dieters, says Dr. Katz, fat loss with UltraShape inspires them to lose more weight. 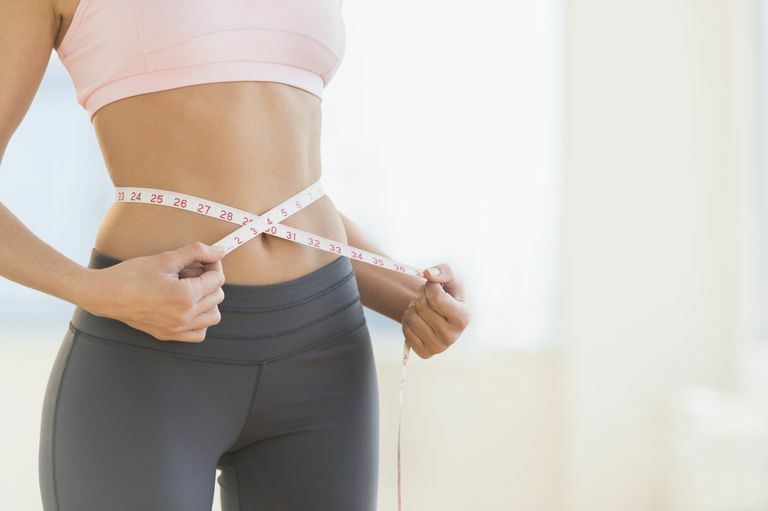 "I've seen patients who use the procedure to kickstart their weight loss program," he says, "or they use UltraShape in the middle of their weight loss program to add a little incentive." Depending on where you live, UltraShape generally costs about $1000 per treatment. For most patients, targeted fat loss with UltraShape usually requires three treatments to see the best results. However, Dr. Katz says that upcoming improvements in the software technology may reduce that number to two or even one treatment to see a significant fat loss. Clinical studies have evaluated UltraShape for side effects including bruising and pain, but these outcomes are rare and most patients find the treatment to be comfortable. The device used to administer the ultrasound therapy sits gently on top of the skin to target and destroy fat cells. There is no feeling of cold or hot, numbing of the skin or sucking sensation. Patients are able to return to normal activities right away. Dr. Katz says that he even has patients who use UltraShape during their lunch hour and return to work immediately following treatment. Anyone who considers UltraShape should look for a treatment center run by a board-certified physician and make sure that treatments are administered by a licensed technician. And, as always, consider this treatment as part of a well-rounded program of diet and exercise to maintain a healthy body.